The next year went by really fast, there was just no time to waste at Lavigny's Legion. The military career required full dedication and focus: the missions were given weekly, sometimes even 2 to 3 times a week, and were always behind enemy lines. I am pretty sure that during my time fighting for the Empire I spent more time in Fed space than in friendly skies. It wasn't bad at all, the Legion and it's legionnaires were always there to teach me how to fight and understand the limits of my ship. I made an uncountable number of friends that time and each one of them helped shape the commander I am today, even if I no longer have contact with any of them. Many are now forever in the void, other few managed to actually retire and are now back to their originally grounded lives. 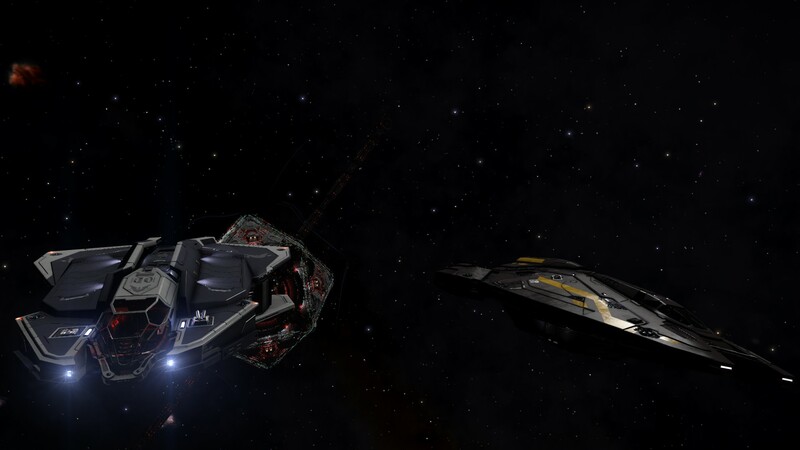 As the months passed by I myself started recruiting new commanders that I'd find could deal with the threats of a void-bound life, just like Wiggins had recruited me years before. Some tagged along for some time, but most would quit and return to their old lives within weeks. One particular recruit, however, would come to be an important part of my commander life: Commander O'Hawk wasn't really recruited, but rather he recruited himself. A friend from a long time, I knew he was in the middle of some life-changing endeavors, moving to whole different lands, so I didn't even think about giving him the pep talk "Hey, have you ever heard about the Pilot's Federation, yadda yadda yadda". 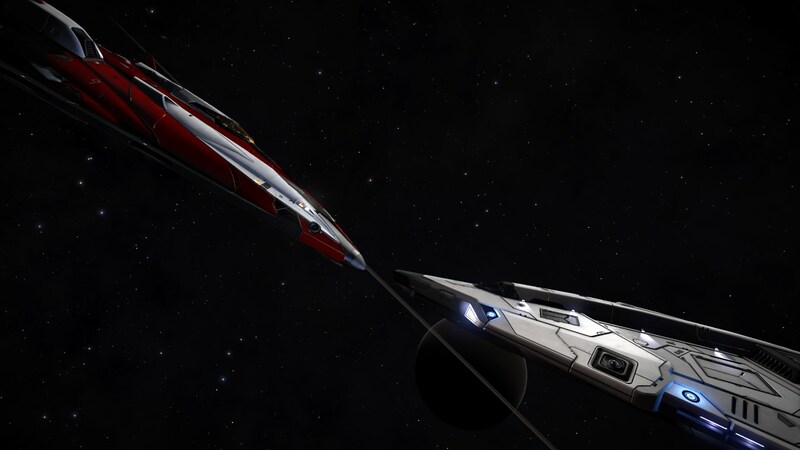 It was really my surprise when he sent me a comms hail from a space ship and them after we discussed where to meet, showed up in a brand new Sidewinder. Hawk ended up being the wingman I needed after so long flying among great, but temporary friends. I helped him get on his "space feet" as much as he helped me keep pushing. hundreds would dir in the name of the Empire. As time passed, I grew increasingly concerned about what we were doing: the cenario would never change, the war would last forever, so what was the point in keep fighting? If no side can ever win, wouldn't it be better to settle in peace, or at the very least an armistice, instead of all that pain and suffering? I started to thing about an old book from the pre-interstellar times, called 1984, and the parallels between it's story and the three current superpowers. I was distressed, it was like watching though a mirror: the power had no interest in ever achieving peace, but to control the population with an invincible, eternal conflict. It as time to leave the Empire. It was time to start our own endeavors.